Be Contained And Delighted At The Most Affordable Zostel! The most affordable Zostel comes to Panchgani with a twist! Stay in actual containers which have been beautifully transformed into rooms with a view to kill for. A perfect getaway to relax with your partner(a private room) or with your friends(dormitories) which can contain up to 6 people. 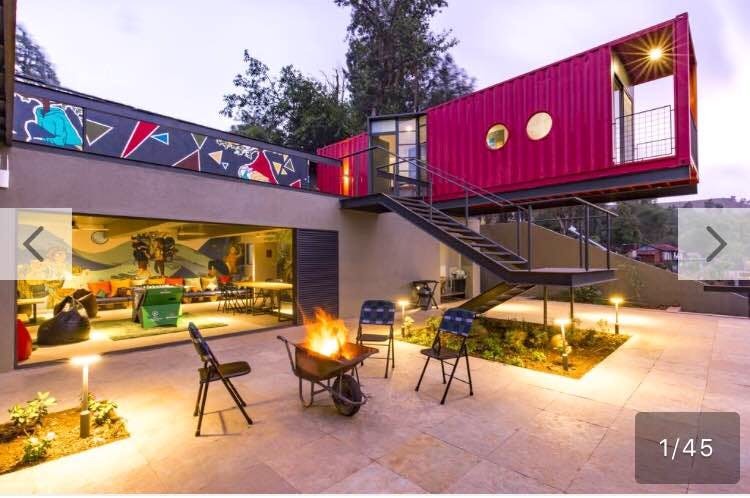 Each 'container' comes with its own private en-suite. A common game room where you can chill with your friends, play and unwind with a pint of beer or simply watch some TV. They organize bonfires every night and you can borrow books or a guitar and play to your heart's content. P.S: They organize the short day and night treks/walks and strawberry plucking trips at the strawberry farms( INR 200/- per person transportation cost) They do not allow alcohol or any beverages in the room. But you can use the common room to drink & smoke, interact and socialize with your fellow zostelities. Be sure to not damage any Zostel room supplies/ property as they have a list of the cost of supplies attached to the door of every room. Music is allowed to be played until 12 am every night and then a silent zone is observed which is quite practical as you won’t be disappointed what comes after. When the light and music goes down you can watch the beautiful magical starry night sky as Zostel is quite away from the hustle and bustle of Panchgani and Mahabaleshwar. They serve delicious food at a very economical price ( INR 500 for 2 without alcohol). Also, they don’t serve alcohol but you can surely buy on your own from the nearby wine shops and try out the locally produced strawberry wine as well. As the containers are small, families with kids might not find it appropriate to stay. Exclude meals in the package offered.